As a life optimization coach, radio host–and as somebody who helps people to channel excellence in life and in leadership–I have yet to meet somebody that isn’t successful. Yes, even you the reader possibly searching for excellence are successful but you may not know or nobody has told you;it is also very common to look at other people who are successful and feel that you don’t measure up to them. The problem we face is our definition of success is a little skewed and one-dimensional. When we define success, our mind immediately summons up images of sports cars, mansions, material possessions and so we measure ourselves using these yardsticks leaving us with a feeling of inadequacy and failure; it is wrong to think like this because you are a success already. You may not have scaled Everest, but I guarantee that you have succeeded in something. We must learn to look for successes in our life even if this is found in something trivial as winning a game of chess or completing a crossword. When we re- define success as something that we set out to do and completed then we place less pressure on ourselves. We need to take this and transfer into other aspects of our lives as a behavior which can help to shape the desired result. For example, to get fit, we consider the behavior of getting in shape and producing that result a success. We internalize decisions and then try to follow through after we sift through all information we have thus shaping our behavior. As stated earlier, we should re-define success as a choice made with even if the end result is not what we had expected. The fact that we acted upon something is in itself a successful outcome because inaction cannot produce results and a body at rest yields zero results. Recognizing both positive and negative results as successes means that you recognize the ability and power to produce results through successful behavior. What this also means is that you know what it requires to be successful. We learn that to be successful it is more of about how we can make different choices and follow through on them. The challenge we must embrace is to make a choice to expand our behaviors into other areas of our life. We can do this through recognizing successful behavior and working towards positive outcomes and self-development. A proper self-development program and a coach can help to create a road-map to the life you want to create. 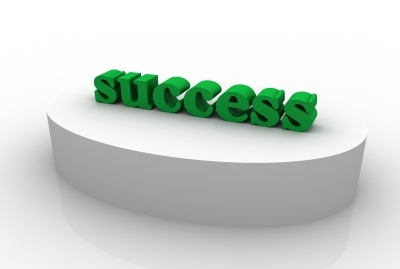 I am a simple person and so I am simplifying success.